By James Delsono. Donations go to WWF - World Widlife Fund. Minimum donation is $2. Any amount above $2 is tax-deductible. 100% of project revenue goes to WWF - World Widlife Fund. James Delsono will be notified of your name and donation amount. 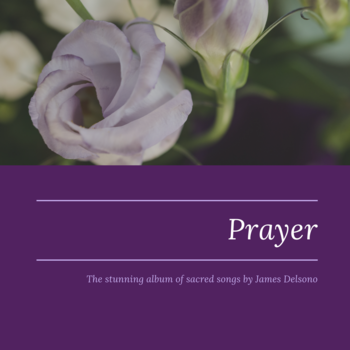 This is an album made out of four original sacred songs I have created along the years and put together recently. It may therefore seem strange that I have chosen to support WWF (World Wildlife Fund) with this album, but I'm sure that, if there's one thing we can all agree upon, it is that, without a planet to live on, the human species will be no more. So ... this is an album of contemplative music for the planet, if you will. Thank you for your kind support!